MGM TV is betting big that Margaret Atwood’s unique dystopian vision will be a hit with TV audiences. 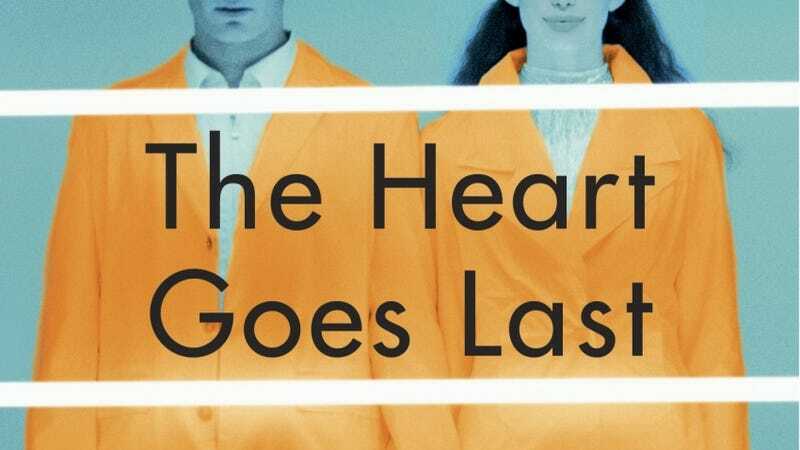 Not only are they developing a 10-episode small-screen adaptation of The Handmaid’s Tale for Hulu, they’ve also snatched up The Heart Goes Last. Stan and Charmaine are a married couple trying to stay afloat in the midst of an economic and social collapse. Job loss has forced them to live in their car, leaving them vulnerable to roving gangs. The Positron Project in the town of Consilience seems to be the answer to their prayers. No one is unemployed and everyone gets a comfortable, clean house to live in . . . for six months out of the year. On alternating months, residents of Consilience must leave their homes and function as inmates in the Positron prison system. At first, this doesn’t seem like too much of a sacrifice to make in order to have a roof over one’s head and food to eat. [But] with each passing day, Positron looks less like a prayer answered and more like a chilling prophecy fulfilled. Currently, MGM TV is producing The Handmaid’s Tale for Hulu, based on her famous 1985 novel about a totalitarian society where fertility forces women into sexual servitude. It stars Mad Men’s Elisabeth Moss, Samira Wiley from Orange is the New Black, and Joseph Fiennes, with Atwood serving as a consulting producer. No word yet when The Heart Goes Last will begin production or what network would air it, but we’ll keep you posted. In the meantime, The Handmaid’s Tale is set to debut on Hulu in 2017.